In todays marketing environment, it is crucial that businesses have a presence in social media. Social media marketing can be intimidating and time consuming if you do not plan and establish a foundation from the beginning. Its one thing to set up your Linkedin page, but planning how and when you are going to post to youre your clients, fans and future customers is another story. Keeping your followers engaged is where most businesses fail in the social media atmosphere. But why Social Media you might ask? Social media marketing has many benefits. Through the different channels available for social media, you can increase exposure for your business, increase traffic to your website, increase search rankings, generate leads, develop raving fans, improve your sales, grow business partnerships, and best of all reduce your marketing expenses. No longer do you need to take out costly ads in the yellow pages or in newspapers. Those are still great options, but social media provides quicker results you are able to measure and track month to month. In this report, you are about to learn how you can create your vision and goals for your Linkedin profile. While it isnt vital for you and your business to participate in Linkedin, it is a good idea to at least have a presence here and point them to your website or a way to interact with your business. 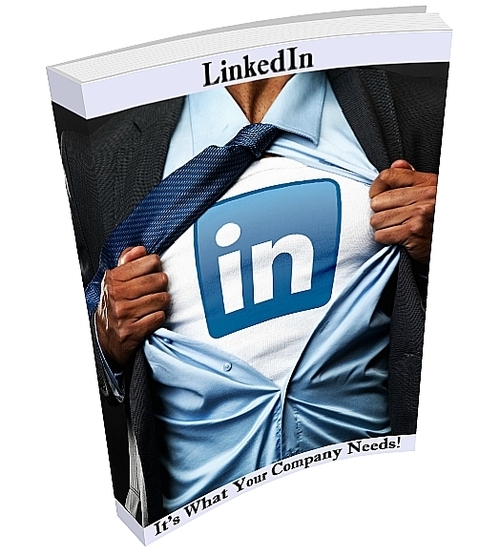 You do not want to lose a potential client just because youre not found on Linkedin!